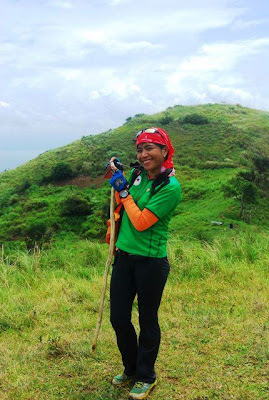 LUCKY JACKIE: MILO APEX @ MOUNT GULUGOD BABOY! 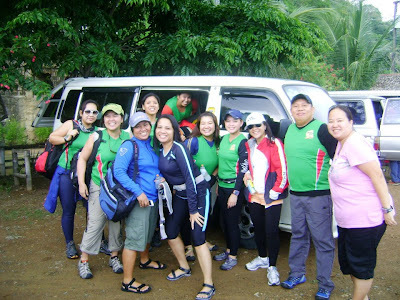 Milo Apex goes Hiking At Mount Gulugod Baboy in Mabini, Anilao Batangas. As part of the Seasonal Training! 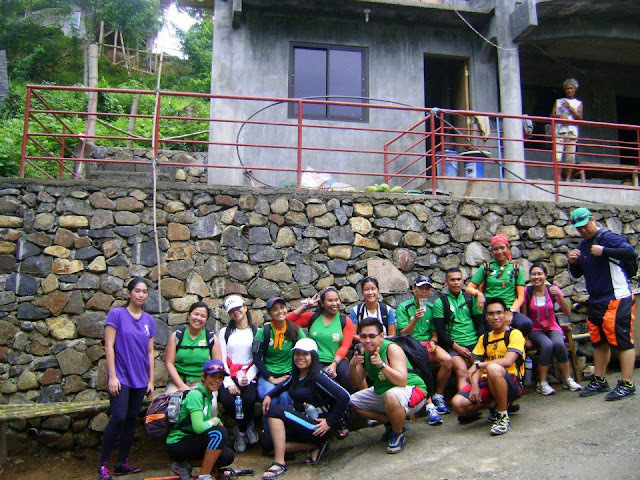 Milo Apex have always finds a way to go out of town for as part of the training. 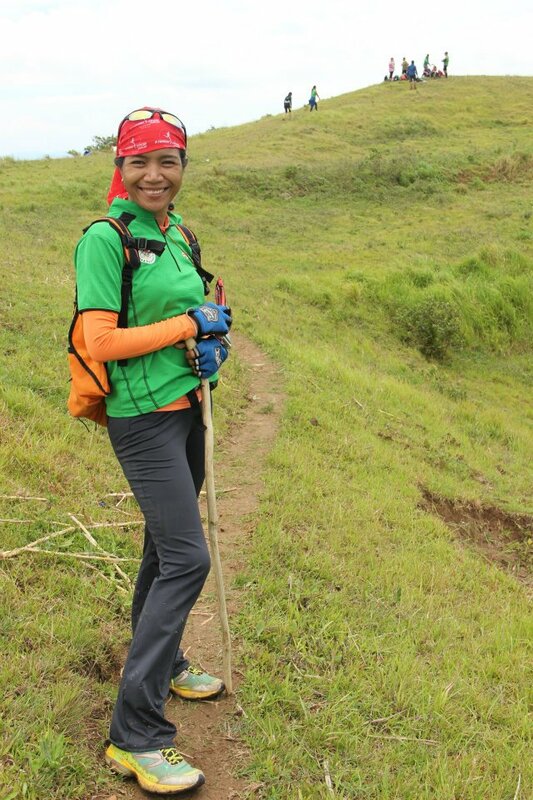 We usually do the uphill training at Sierra Madre, Tanay Rizal. 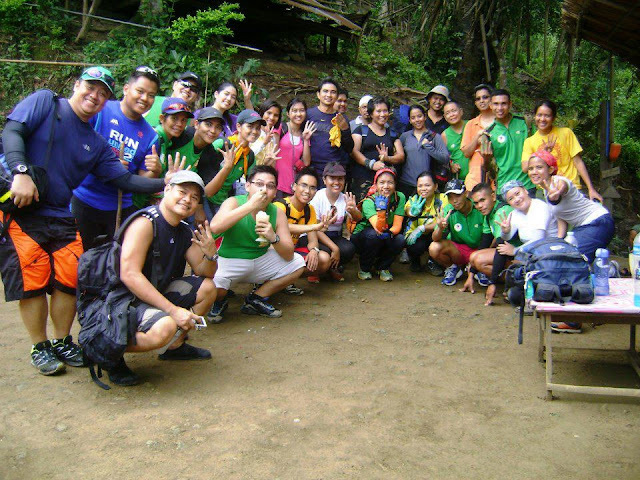 But this time when Coach Jim Saret called a meeting to at least make a new way to find a training grounds as part of a group bonding with all the Milo APex Participants in Bonifacio Global City and Quezon City Circle.Coach Jim Tapped me off to Organize this event. I was confident to handle this Big Group because i Know i have the Support Crew Behind my back. 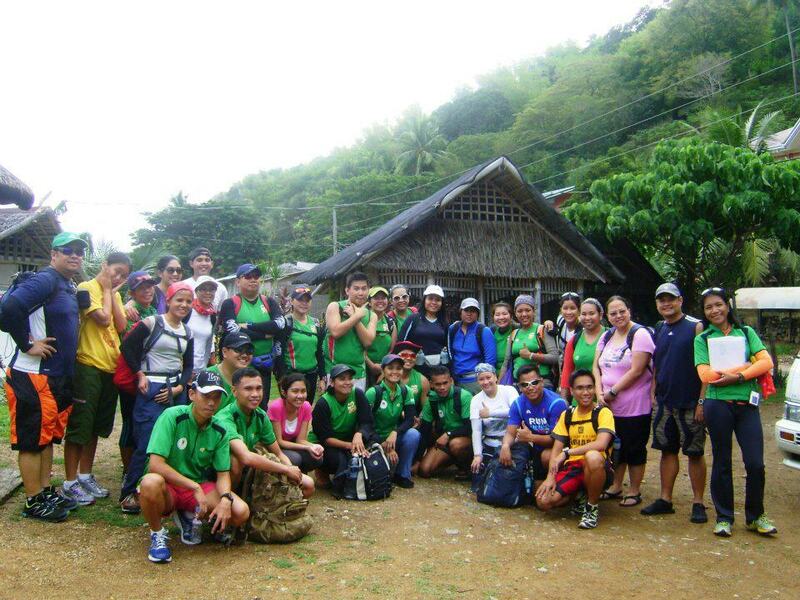 This is the first time Milo Apex Running School did the Out of Town Hiking with A Beach Side Trip at Anilao Batangas. We have 70 participants including Team Managers and Coaches. Everyone was excited to hike. Especially the 5k group because most of our participants are from 5k. I have nothing to say about this group. A Bunch of happy people joined force together to create another bonding moments at Mabini, Anilao Batangas together with their Coaches Ariel and Cecil. Before we start to trek, i make sure i have this short briefing, a few reminders to all the hikers not to leave their important belongings in the car and bring food and water with them along the way. Another reminder for them is to greet all the locals a Good Morning and Good Afternoon. But the most important thing here, i have to tell them the LNT sayings of the mountaineers. 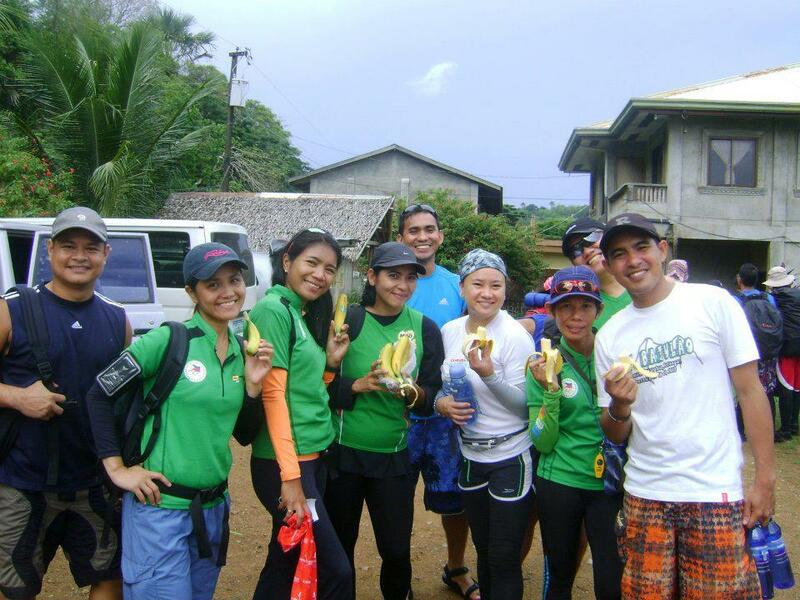 LEAVE NO TRACE, Take nothing but pictures, Leave nothing but footprints.So after the briefing, Coach Peachy was the one led the prayer. 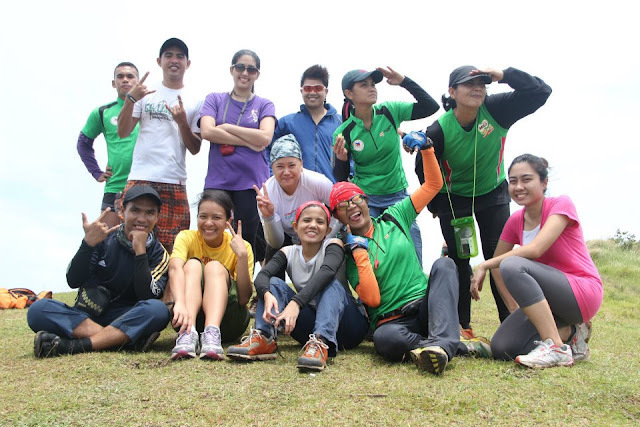 A group picture from 5k, 10k , 21k and Team Managers and Coaches from BGC and QC before going to summit. We just arrived here around 8:30 in the morning so with a little preparation to make and a short briefing and trivia to the Mountain, While waiting for others to be at the Jump Off. 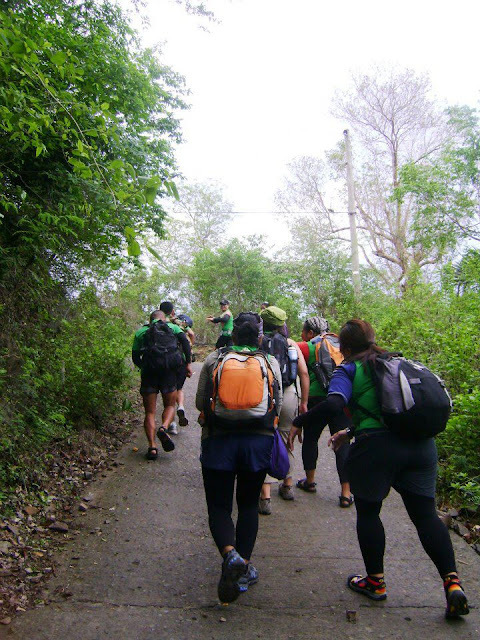 We decided to start trek around 9:00 in the morning. A pose from the runners, coaches, team managers and mountaineer guide holding the banana before trekking. And the trek begins at 9:00 in the morning. Walking in a 80 degree concrete uphill, most of them had a hard time going up hahaha. they didnt even know that that was the stressfull part before you reach the first station. At 2nd station Halo-Halo ni Ate Mely for only P25.00 Together with us is the group of people from Quezon City Participants with Coach Janette. 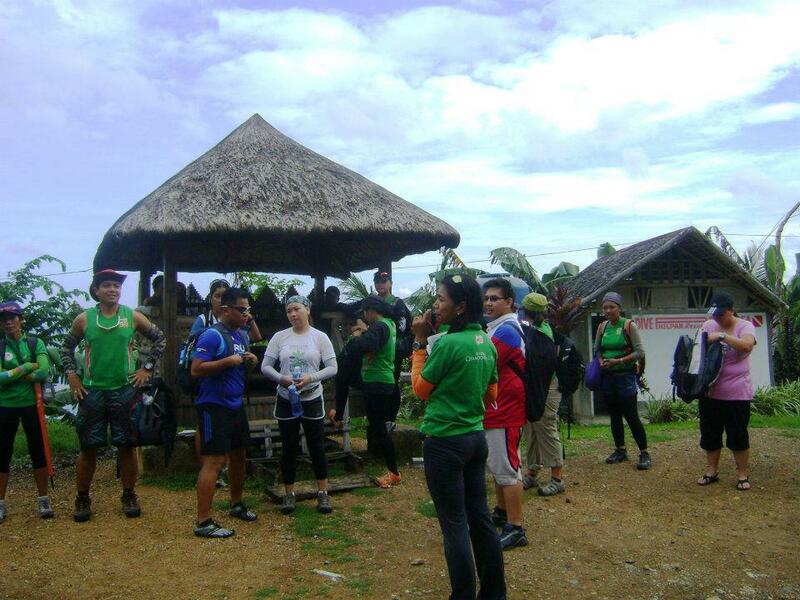 They start descending at around 10:30 in the morning while we are about to reach the summit of Mount Gulugod Baboy. This is one of my favorite spot! 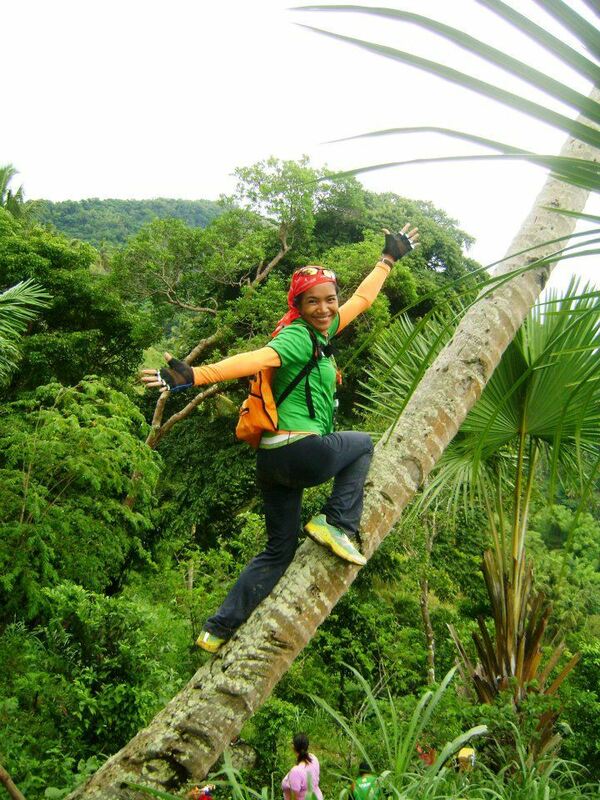 thats why i love taking photo on this coconut tree! 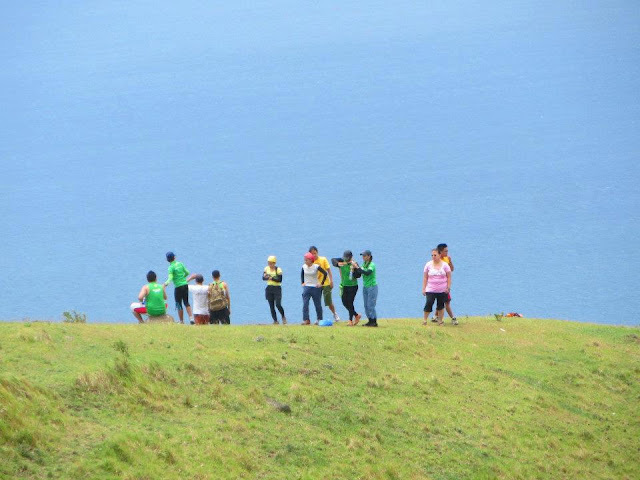 Reaching the Summits of Mount Gulugod Baboy in a 360 degree views is really amazing! It's my 2nd climb but its always on a dayhike. I will be back here for an overnight stay. I love going back here again and again. 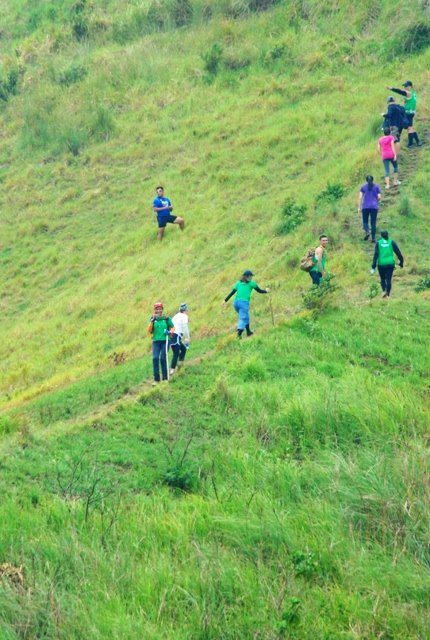 Its the Climb! such a great feeling reaching the top of the summit and most of the participants enjoyed it much! I am so thankful that they liked the place too. Congratulations to all Milo Apex Participants especially from 5k, 10k and 21km participants for Conquering the Summits of Mount Gulugod Baboy!What you just did there is not just a climb but you showed me how motivated you guys are reaching the top! It is not a matter of a competition but it is a matter of friendship, camaraderie, and a great bonding to all other members from different groups. This group of people showed how the friendship matters and the unity of each of the members and coaches. No one left behind. Everybody helps each other's company and im so proud i brought them here and see how happy these people are.